2 channel EMG (Biofeedback) combined with 4 channel NMES (stimulation). 2 channel ETS (EMG triggered stimulation) with stimulation on 4 channels. Up to 10 metres of wireless (Bluetooth) connection for NeuroTrac Software. 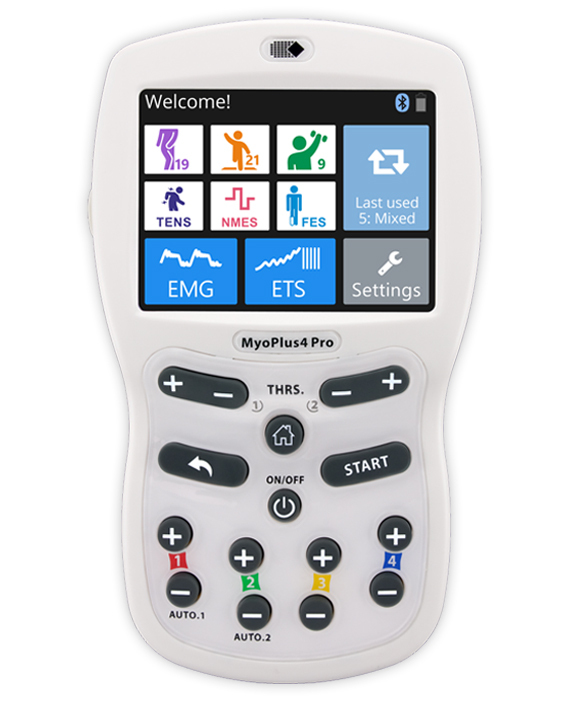 The new user friendly touch screen based interface makes it a self-explanatory unit with interactive learning on the go, including electrode placement, running EMG graph, EMG biofeedback Games and Templates as well as many other helpful tools. 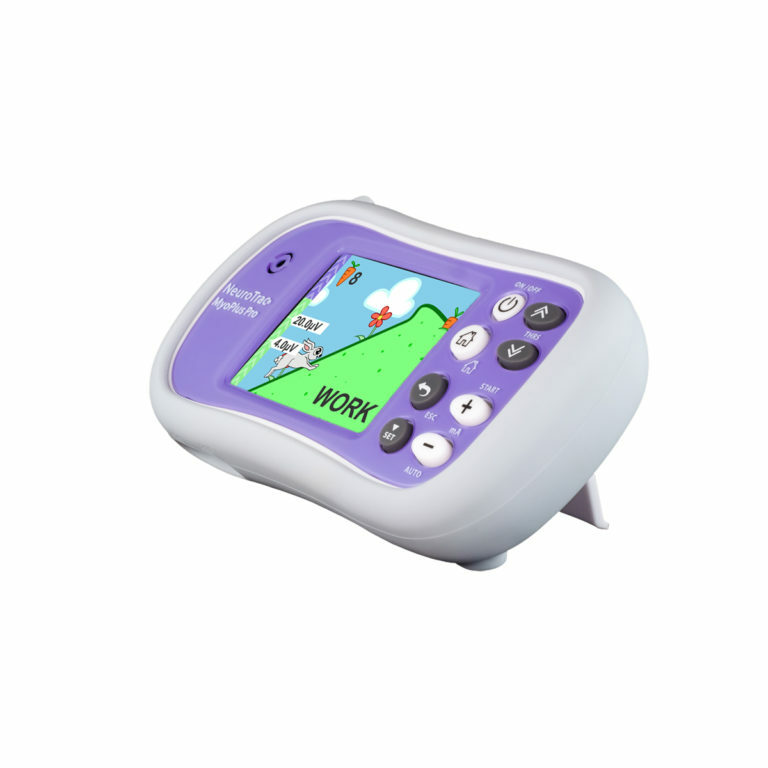 Pre-set programmes for Incontinence treatment (including a special programme for the treatment of incontinence by stimulating the nervous tibialis posterior with self-adhesive electrodes) and neuro-muscular Rehabilitation. Supplied with Rubber sleeve with stand and lanyard attachment option. Single channel EMG (Biofeedback) combined with 1 channel of NMES (stimulation). Single channel ETS (EMG triggered stimulation) with single channel stimulation. 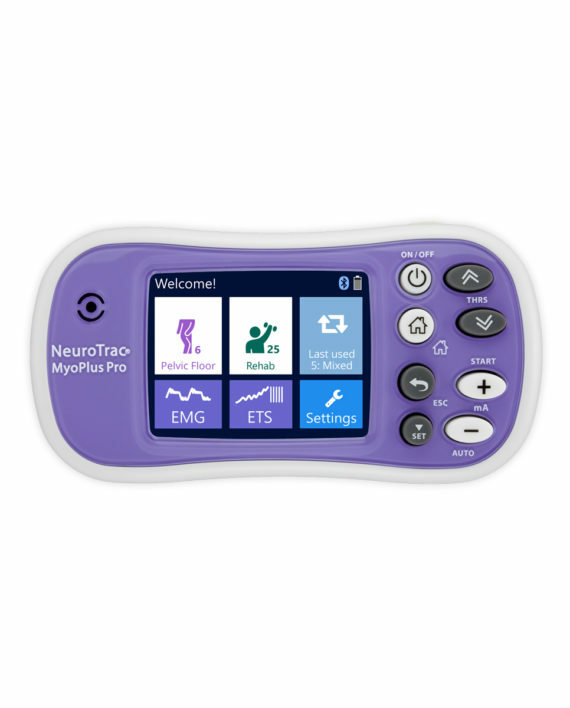 Multilingual full color display screen and voice prompts for Biofeedback. For home users: Produces and prints (with the optional PC Software) the comprehensive patient progress reports on a day to day basis providing average readings on work/rest, peak, onset and muscle release times, work and rest deviations and the average mA current. Model number: MYO120P. This product is available through selected distributors who are able to provide training and support.